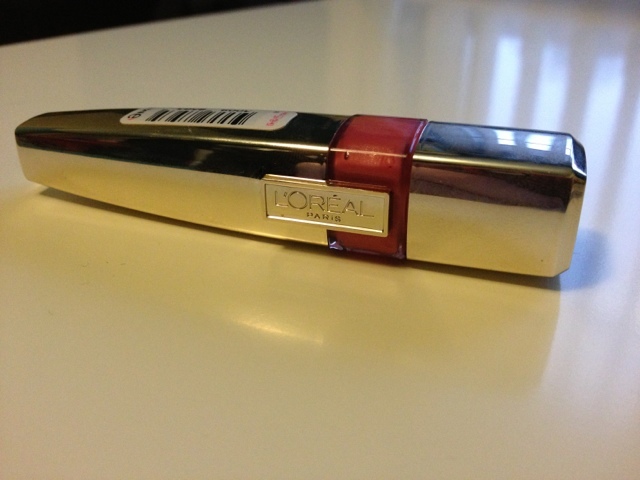 I got this L'Oreal Caresse Lipgloss Free in the Post from L'Oreal, I am not usually a lipgloss type of person, I ALWAYS wear lipstick but I hate lipgloss because I hate the sticky feeling and my hair always gets stuck on my lips...But after trying this out, I think I will definitely go out and buy this again, I think this is the first lipgloss I have ever liked! The shade I recieved was the Romy 102, Its a really pretty, great pigmented colour and is exactly how you can see it in the bottle. You get a slight gloss, not too shiny but there is still a shine and little sparkles. Once the gloss has faded you still get a slight tint on the lips which I really love, I could wear this alone without a lipstick base! The Texture is kind of smooth, soft and slightly sticky, once it is on it is quite hard to rub your lips together. To me, I like this and it also says that it last longs on your lips. It fulls my lips too! The brush is easy to apply on my lips with no smudges and its feels really smooth and soft! It was almost like I hadnt applied any at all! It was really simple to use and is purse-sized so it is easy to put in your bag/purse whilst your out! 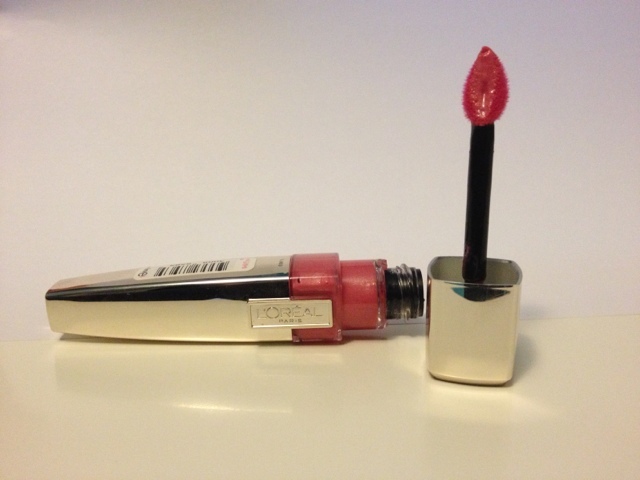 I love this lipgloss, I love the smell and how easy it was to apply. I am definitely going to purchase another colour of this! 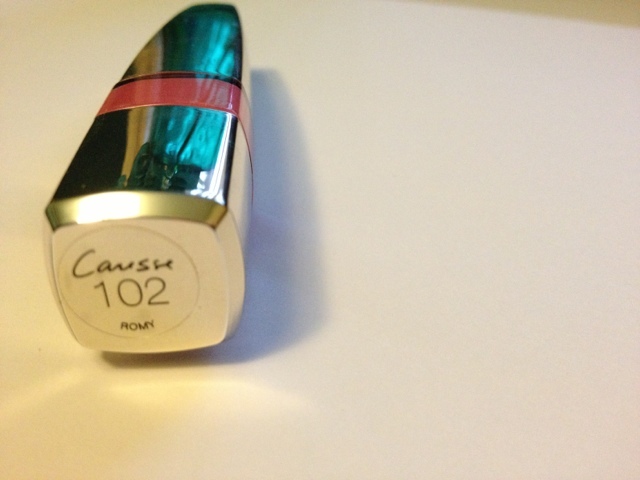 I have also heard that this is a great dupe of the YSL Glossy Stains, Im not so sure because I havent owned this. But if you have, let me know! You really should! I love it! Thank you! And definitely should! I'll need to give this a go then - I usually hate lipgloss too, but I have liked the YSL Glossy Stains so I'll have a look at this next time I'm in town. If your like me you really will like this! It's really good to use! great post and such a gorgeous colour!